Sunsets never ceased to amaze us with its spectacular bundle of vivid natural colours. 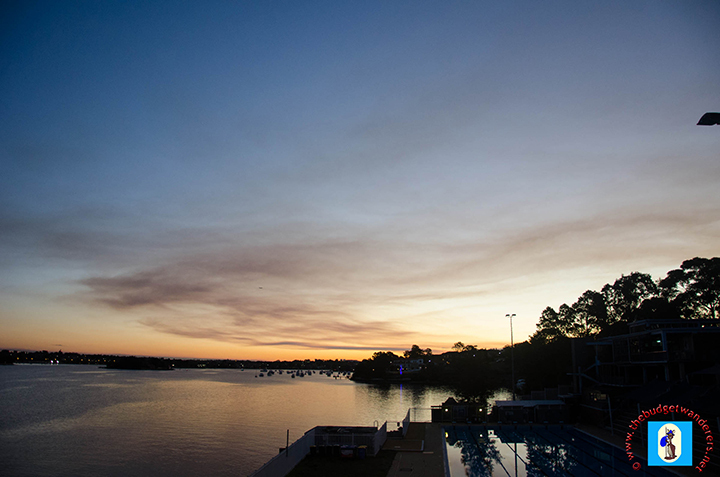 This time when we visited Birkenhead Point in the posh suburb of Drummoyne one afternoon, we were astounded with the setting sun from afar, full of life and serenity. 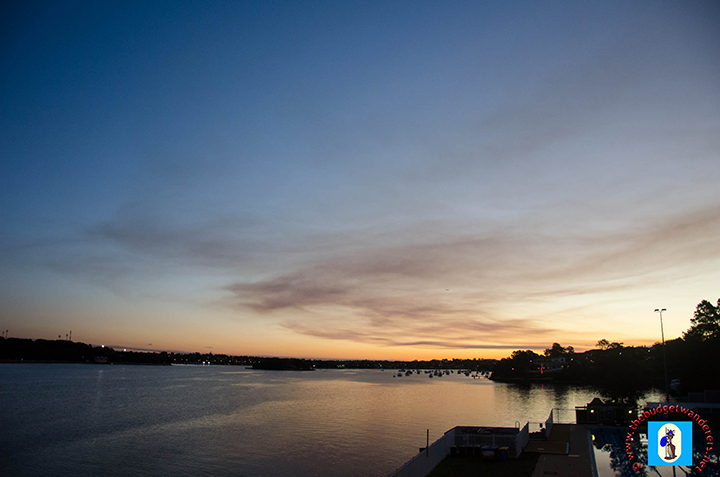 A view of the Parramatta River from the Birkenhead Point Shopping Centre. Our afternoon started with the BudgetWanderers visiting the largest outlet centre in Sydney, the three-levelled Birkenhead Point Shopping Centre. 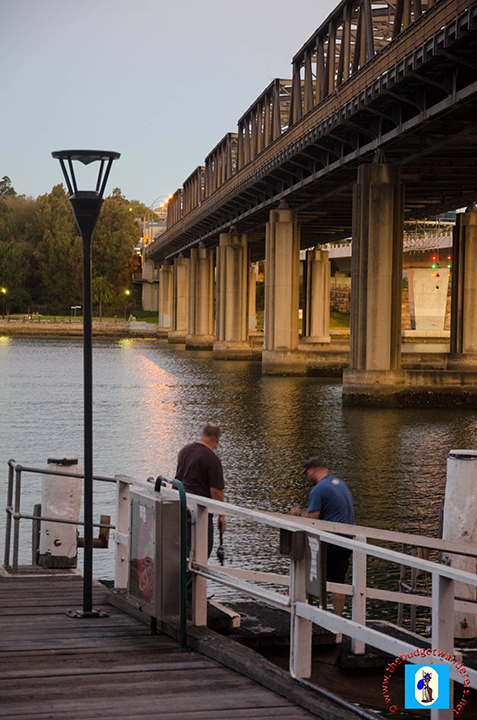 This outlet centre, pragmatic for its valuable high-end outlet shops, is near the marina that holds numerous yachts and boats .As the night falls and the shops closes, we strolled down the alley near the Birkenhead Point Wharf, overlooking the Iron Cove Bridge and its duplicated bridge. The former was built in 1955, and the latter opened in 2011. Numerous old Victorian houses can be seen nearby and from a distance. 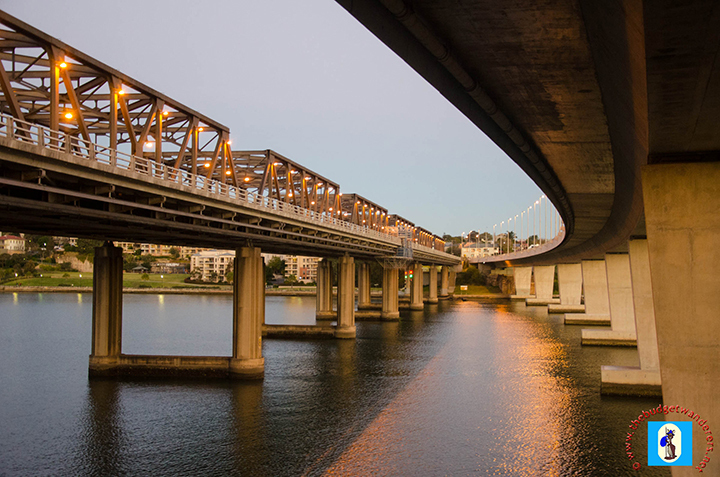 Indeed, Drummoyne still boasts of its historic past even though modernisation has creep fast to its environs. 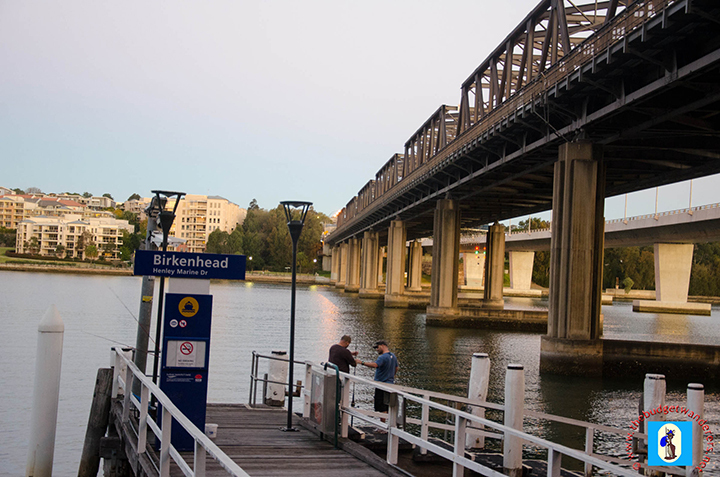 Iron Cove Bridge and its duplicate bridge. From the walled alley underneath the bridges, we were mesmerized as we took time to watch the setting sun from afar. The dusk brought various shades of colours and made our whole afternoon lively and relaxing. Times like this are a standstill, invigorating our souls from an erstwhile hectic week. After the sun sets and the darkness falls, we headed back to the gruelling metropolis, promising ourselves of more sunset watch in our next wanders. 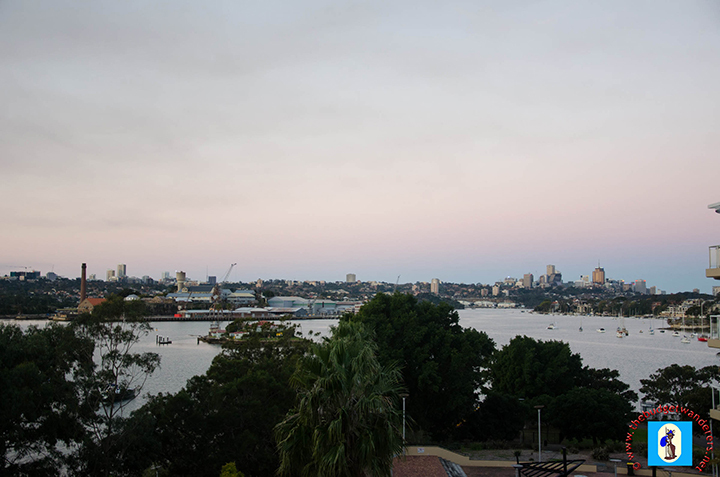 Birkenhead Point Maina overlooking the Iron Cove Bridge. The ‘duplicate bridge’ photo is very eye-catching. LOVE the bridge shot with the long curve.